The Drotos Ryals Group at Bosshardt Realty Services Commercial & Land Division is excited to welcome its newest team member; Rory Causseaux. Causseaux comes to the Drotos Ryals Group with an extensive background in civil engineering, land development and regulatory administration. Considered to be a reverse gator, Causseaux grew up in Tallahassee and came to Gainesville to pursue a degree in civil engineering from the University of Florida. It was in Gainesville that he met and married his wife, Terri. Together they have lived in Gainesville and have raised two daughters; Jordann and Blair. 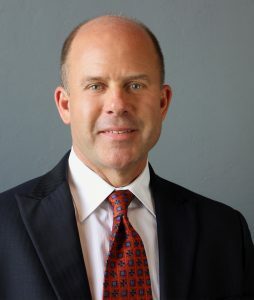 After graduating from the university in 1984, Causseaux would later form the successful, local professional consultant firm of CHW, which was previously known as Causseaux, Hewett & Walpole, Inc. Rory and CHW have engaged in thousands of developments and infrastructure projects in greater Gainesville over the last 30 years. Recognizable projects include; Butler Plaza North, Oakmont, Santa Fe Health Park, The Standard, Shands Hospitals and numerous projects on the University of Florida campus. Not wanting to limit himself, he also became involved with many Gainesville-affiliated organizations, some of which he is still a part of today. With local memberships extending well over 25 years, Causseaux’s role in the community is more than that of a professional and business owner. His continued engagement in organizations like, Rotary, Westside Baptist Church, the Climb for Cancer Foundation and the Gainesville Chamber of Commerce, is a direct reflection of his desire to help Gainesville grow and thrive to be a better place. The Drotos Ryals Group is very fortunate to have Rory join its team. From his strong ethics to his sincere concern for others, Causseaux’s expansive experience will only add to the success of the team. “He will allow our group to better serve our customers,” said Drotos. “We could not be happier to welcome him on-board.” For all of your commercial real estate needs, please contact the Drotos Ryals Group and be sure to follow us on social media (@drotosryalsteam) for news and updates on Gainesville and surrounding communities.